The Mudhole: all that purple is a whole lot of mud. It probably helps to understand the Mudhole. Long Island Sound is a massive estuarine system. It connects several large river systems with extensive drainage to the Atlantic Ocean. I live in the wonderful small city of Milford, nearly smack in the middle of the Connecticut coast of Long Island Sound. Sounds idyllic, and in many ways it is. Here's the rub. My favorite gamefish survive by eating baitfish. Baitfish are drawn to structure. The Mudhole has little. We don't have the complex currents of the Norwalk Islands to our west. We don't have the rocky shoreline of the Connecticut coast to our east. We don't have the mystical allure of the tip of Long Island, Montauk, the surfcaster's mecca. What we do have is a lot of mud. And some clay. And a bit of silt. 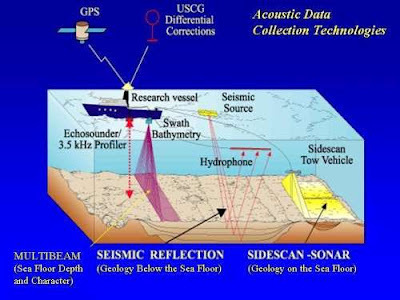 The map above is the work of various researchers. They scan the bottom topography and measure such things as seismic reflection. The Long Island Sound Research Center provides a fascinating site with a tremendous amount of information. You can spend hours on the live map rendering tool. It reveals what we already knew: there's not much structure in the mudhole. It's not all bad. There are some terrific beaches along with rocky points along the shore. We have the Housatonic River providing a conveyor belt of food to the marine environment, not to mention spawning habitat for many creatures. Charles Island provides structure nearby. We are, however, almost equidistant by boat to the nearest major structure points: 18 miles west to the Norwalk Islands, 15 miles east to the Thimble Islands, and 17 miles south to Long Island. That's a lot of water to cover, and during the dog days, there can be little to hold fish locally. Those of us fishing the Mudhole need to work a little bit harder. However, the access is spectacular, and the distinct seasons pronounced. The Mudhole. Lest the uninspiring name turn you away, let's define the purpose of the Chronicles. I am an enthusiastic saltwater fisherman. 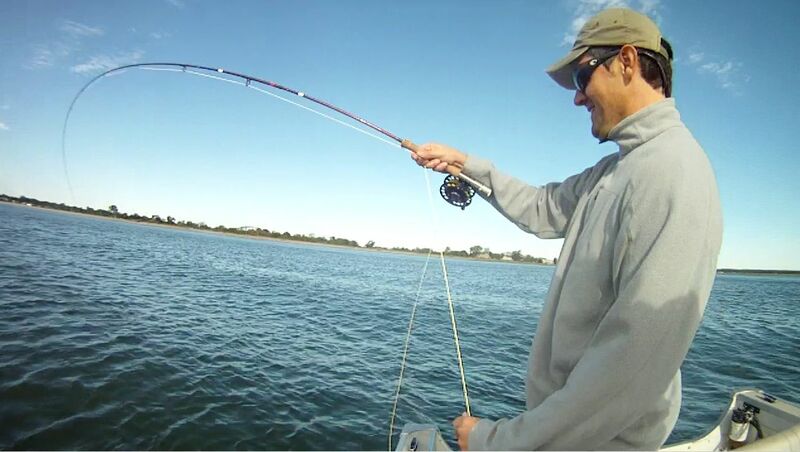 My preferred method of choice is a 8-wt through 10-wt fly rod, although I enjoy fishing with lures and bait as well. 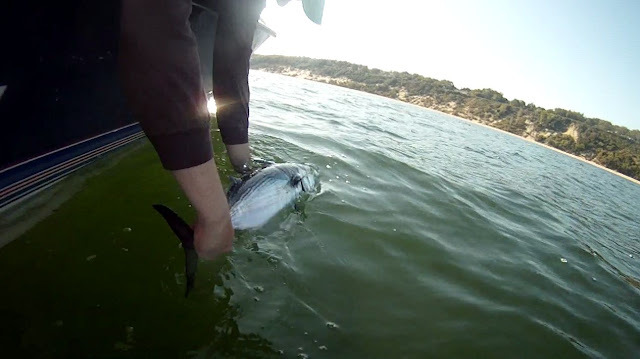 The target species is usually striped bass, but I have a strong love for bluefish, false albacore, and steelhead. I have for years fished from shore. I now own a kayak. In the not-so-distant future, I hope to own a boat to fish from. Fishing is an act of discovery. It is learning natures ways. It is about the friendships you build in your hours outdoors pursuing a common passion. It is creatively solving problems. I like to try something new every time I go out, just to see what happens. 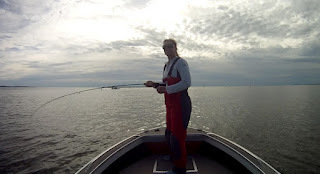 Over the years, I've written about my experiences either in a personal fishing log or online forums. I've take photographs and shared many with friends. The Mudhole Chronicles is the nexus of of these efforts, a compilation of concept and memory united by the common theme of pursuing finned prey with rod and reel.